The conference was first held under the auspices of the Planning And Statistics Division of the War Production Board at Princeton University in December 1945, with one of the participants being Deming and Walter in 1988 Dr. W. Edwards Deming. Since then, the conference then steadily grew in attendance and length. The 75th Annual Deming Conference will be held on December 2-6, 2019 at Tropicana Hotel and Resort -Atlantic City, NJ. There will be two parallel half-day tutorial sessions based on recently published books for the first three days for a total of 12 tutorial sessions (December 2, 3, 4). Then the conference will continue with (2) two day short courses on December 5 and December 6. The books used for the tutorial sessions and for the short courses as well as books written by invited speakers will be sold at an appreciable discounted prices. The authors of the books are invited as the speakers. Poster sessions will also be presented. A complete program pdf file will be available for download. The conference is organized by the Deming Conference Organization. 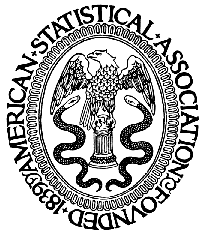 The 75th Annual Deming Conference on Applied Statistics will be held from Monday Dec. 2 to Wednesday Dec. 4, 2019, followed by two parallel 2-day short courses on Thursday Dec. 5 and Friday Dec. 6 at the state-of-the-art Tropicana Casino and Resort, Havana Tower, Atlantic City, NJ. The purpose of the 3-day Deming Conference on Applied Statistics is to provide a learning experience on recent developments in statistical methodologies in biopharmaceutical applications. The conference is composed of twelve three-hour tutorials on current topics in applied biopharmaceutical statistic and FDA regulations, as well as two one-hour distinguished keynotes on Monday and Tuesday. The books, on which these sessions are based, are available for sale at an approximately 40% discount. Attendees will receive program proceedings of the presentations. There will also be poster sessions. The conference is sponsored by the American Statistical Association Biopharmaceutical Section. Walter Young has chaired this conference for 50 consecutive years. The program committee include: Alfred Balch, Joseph Borden, Ivan Chan, (Din) Ding-Geng Chen, Kalyan Ghosh, Satish Laroia, Xiaoming Li, Sofia Paul, Manoj Patel, Naitee Ting, Yibin Wang, Wenjin Wang, Li-an Xu, Walter Young, Pinggao Zhang. The full program as well as a downloadable printed version will be available on our website by June 1st and online registration will open in August. For more information about the conference, please visit https://demingconference.org/. Susan Wang, Boehringer Ingelheim, China. Gang Cheng, Boehringer Ingelheim, China. 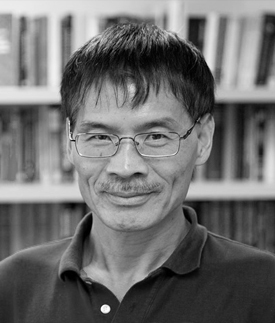 Richard C. Zink, TARGET Pharma Solutions Inc.
Dr. Ming-Hui Chen is currently Professor and Head of the Department of Statistics at the University of Connecticut (UConn). He was elected to Fellow of the International Society for Bayesian Analysis in 2016, Fellow of the Institute of Mathematical Statistics in 2007, and Fellow of the American Statistical Association in 2005. He has published over 375 statistics and biostatistics methodological and medical research papers in mainstream statistics, biostatistics, and medical journals. He has also published five books, including two advanced graduate-level books on Bayesian survival analysis and Monte Carlo methods in Bayesian computation. He served as President of the International Chinese Statistical Association (ICSA) in 2013, Program Chair and Publication Officer of SBSS of the American Statistical Association (ASA) and the ASA Committee on Nomination for 2016-2017 to nominate candidates for ASA President/Vice President. Currently, he serves as an Editor of Bayesian Analysis and Statistics and Its Interface and an Associate Editor of JASA, JCGS, and LIDA. 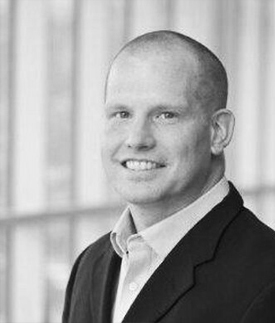 Scott Patterson, Ph.D., PStat® is currently the Senior Director and Head of Statistical Innovation at Sanofi Pasteur. He is an expert on the design and statistical analysis of clinical and clinical pharmacology trials and has over 25 years of statistical consulting and collaborative experience. Dr. Patterson and Professor Byron Jones co-authored the textbook Bioequivalence and Statistics in Clinical Pharmacology, now in its second edition. Dr. William (Bill) Wang is an executive director, clinical safety statistics, in the department of Biostatistics and Research Decision Sciences (BARDS), Merck Research Laboratories. He has over 24 years of experience in the pharmaceutical industry, with expertise and research publications in statistical design, analysis, clinical data management and their technology enablement. During his 17-year tenure at Merck, he supported regulatory filings in multiple therapeutic areas and established the BARDS Asia Pacific operation. 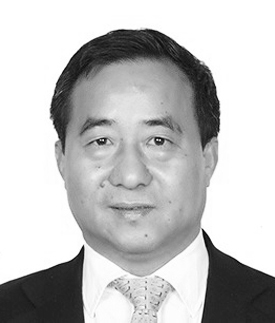 Since 2010, he has served on the DIA China Regional Advisory Board and the DIA’s Global Community Leadership Council (CLC), including the chairmanship of the DIA China Statistics Community. He was a recipient of the DIA global inspire award in 2017. He is currently co-chairing an ASA safety working group, and a deputy topics-leader in the ICH E17 working group on multi-regional clinical trials. 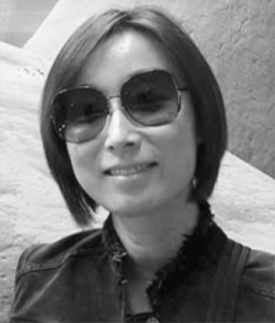 Kefei Zhou is currently working as Director of Biostatistics at Jazz Pharmaceutical. She received her Ph.D. from UCLA biostatistics department. 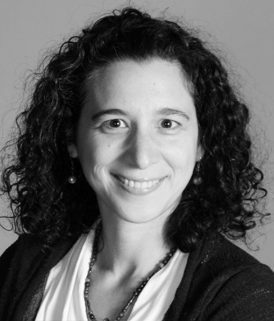 She has over 10 years of experience in drug development including inflammation, oncology, Bone, GI, neurology and Sleeping disorder therapeutic areas. Before joining Jazz, Kefei worked as lead biostatistician in multiple therapeutic areas at Theravance Biopharma and at various functions within Amgen global biostatistics group including clinical development, early development, safety biostatistics, and biosimilar group. Kefei has publications on statistical and medical journals on topics including ROC curves, inferences from blinded data, and minimum P statistics. She is a member of ASA biopharmaceutical safety monitoring group since 2015 where one of the Key objectives is to encourage the increased use of systematic safety assessment approaches across biopharmaceutical industry. 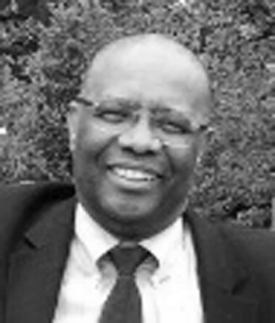 Melvin S. Munsaka is a Senior Director and Head of the Safety Statistics at AbbVie in the Statistical Sciences Group within the Data and Statistical Sciences Department. 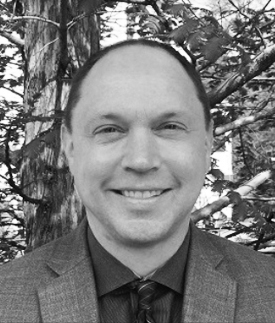 He has a PhD in Mathematical Statistics from Queen’s University in Canada and an MSc in Mathematical Statistics and MEd in Mathematics from McGill University in Canada. Melvin has been in the pharmaceutical industry for more than 20 years. He co-leads some initiatives of the Drug Information Association Bayesian Scientific Working Group Safety Subteam and some initiatives of the ASA Biopharmaceutical Section Safety Working Group. Melvin has been Publicity Chair of the Midwest Biopharmaceutical Statistics Workshop since 2005 and has held positions of President, Program Chair, and Chapter Representative of the Northeast Illinois Chapter of the ASA. He is the 2018 Chair of the ASA Section for Statistical Programmers and Analysts. He is also a part-time lecturer in biostatistics in the Clinical Research Certificate Program and the MSc Program in Biomedical Informatics at the University of Chicago Graham School of Continuing Liberal and Professional Studies. He is also Board member and Secretary of the Board of the Chicago Public Schools STEM Program. He continues to pursue research in various areas of his interest in statistics, probability, data mining, and data science, and programming. Richard C. Zink is Principal Research Statistician Developer in the JMP Life Sciences division at SAS Institute. Prior to SAS, he spent eight years in the pharmaceutical industry, where he designed and analyzed clinical trials in diverse therapeutic areas including infectious disease, oncology, and ophthalmology. He is the 2018 Chair-Elect and Host of the Statistics Podcast for the Biopharmaceutical Section of the American Statistical Association, and an Associate Editor for Therapeutic Innovation & Regulatory Science, the scientific journal of DIA. Richard holds a Ph.D. in Biostatistics from the University of North Carolina at Chapel Hill, where he serves as an Adjunct Assistant Professor of Biostatistics. 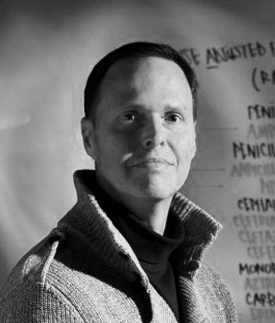 He is author of Risk-Based Monitoring and Fraud Detection in Clinical Trials Using JMP and SAS, co-editor of Modern Approaches to Clinical Trials Using SAS: Classical, Adaptive, and Bayesian Methods, and contributor to six other books on statistical topics in clinical trials and clinical research. 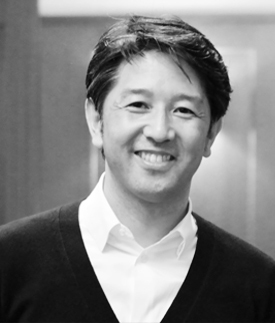 Toshimitsu Hamasaki is the Director of Data Science at National Cerebral and Cardiovascular Center, Osaka, Japan. He has been involved in biopharmaceutical statistics for over 25 years, and prior to joining NCVC, worked at Shiogoni, Pfizer Japan and Osaka University. He has been actively involved in biostatistical research, and is the author of more than 180 peer-reviewed publications and three textbooks on clinical trials including Group-Sequential Clinical Trials with Multiple Co-Objectives. Dr. Hamasaki was the member of ICH E5 Guideline Implementation Working Group as a representative of Japan Pharmaceutical Manufacturers Association to develop the Q & A document on the guideline. He currently serves as an Associate Editor for Statistics in Biopharmaceutical Research, Journal of Biopharmaceutical Statistics and Japanese Journal of Statistics and Data Science, and Editor for CHANCE. He is an elected member of International Statistical Institute and a Fellow of the American Statistical Association. He is a recipient of the Japanese Society of Computational Statistics Distinguished Article Award and Behaviormetric Society of Japan Hida-Mizuno Prize, and the Poster Competition Winner at the ASA Biopharmaceutical Section Regulatory-Industry Statistics Workshop. Dr. Scott Evans is a tenured Professor of Epidemiology and Biostatistics and the Director of the George Washington Biostatistics Center. Professor Evans interests include the design, monitoring, analyses, and reporting of and education in clinical trials and diagnostic studies. He is the author of more than 100 peer-reviewed publications and three textbooks on clinical trials including Fundamentals for New Clinical Trialists. He is the Director of the Statistical and Data Management Center (SDMC) for the Antibacterial Resistance Leadership Group (ARLG), a collaborative clinical research network that prioritizes, designs, and executes clinical research to reduce the public health threat of antibacterial resistance. Professor Evans is a member of the Board of Directors for the American Statistical Association (ASA) and the Society for Clinical Trials (SCT) and is a former member of the Board for the Mu Sigma Rho (the National Honorary Society for Statistics). He is a member of an FDA Advisory Committee, the Steering Committee of the Clinical Trials Transformation Initiative (CTTI), and serves as the Chair of the Trial of the Year Committee of the SCT. Professor Evans has served on numerous DSMBs for government and industry-sponsored clinical trials including as Chair of the DSMBs for the Adolescent Trials Network (ATN). 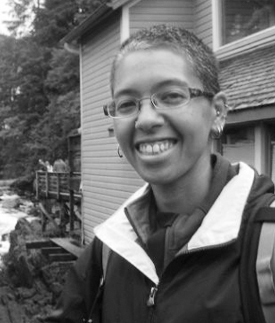 Dr. Evans is a recipient of the Mosteller Statistician of the Year Award, the Robert Zackin Distinguished Collaborative Statistician Award, and is a Fellow of the ASA and the SCT. 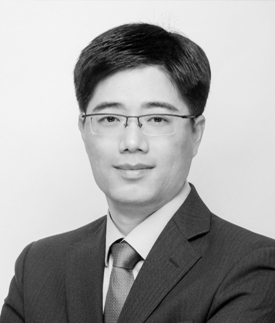 Gang Cheng (Ph.D. in Biostatistics from The University of Iowa) is a senior manager of Biostatistics in the Department of Biostatistics & Data Sciences Asia at Boehringer Ingelheim Pharmaceutical in China. Gang majorly focuses on therapeutic area of metabolism. His experience includes clinical trial design and data analysis, statistical methodology and applications in clinical development. 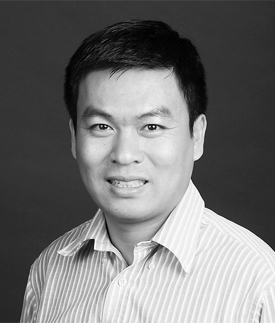 Dr. Chen is an Assistant Professor of Biostatistics in the Department of Biostatistics, Epidemiology and Informatics at the University of Pennsylvania. He is also a Senior Fellow at the Institute of Biomedical Informatics, at Penn School of Medicine, a Senior Scholar at the Center for Evidence-based Practice at Penn School of Medicine, and a faculty member at the Applied Mathematics & Computational Science Program, Penn Arts & Sciences. He has been working on applied statistics, biomedical informatics, bioinformatics, and evidence-based medicine. His main research interests are bias reduction methods in electronic medical records, dynamic risk prediction, pharmacovigilance, personalized health management strategies using data-driven approaches, integration of heterogeneous data sources, and evidence synthesis. He is an Elected Member of the Society for Research Synthesis Methodology. He has served as a principal investigator or co-Investigator of more than 20 projects, funded by NIH, PCORI and AHRQ. He is currently the PI of two NIH funded projects with $4.7 million US dollars, and has published more than 70 papers in the statistical and biomedical journals. He has taught short courses on comparative effectiveness research, network meta-analysis, and statistical methods for electronic health records data at ASA Biopharmaceutical Section, ICSA and ENAR annual conferences. 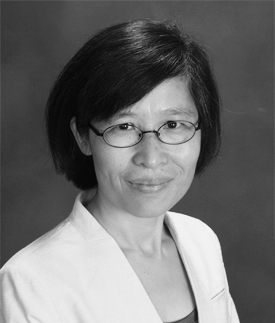 Dr. Susan Wang is the Asia Head of Biostatistics and Data Science of Boehringer Ingelheim (BI) Pharmaceuticals China. Before moved to China, Susan had over 20-year of experience working on global drug registrations in multiple disease areas in BI US as a lead statistician. 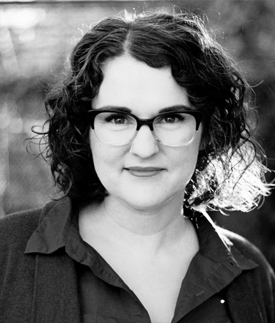 She designed the non-inferiority RE-LY trial for BI that has led the approval of the indication of Pradaxa for stroke preventions in patients with AF. Subscribe to us for latest updates on conference and our upcoming events.